what is a fast twitch muscle? A fast twitch muscle (Type II) uses anaerobic metabolism to create fuel, they are much better at creating short bursts of strength or speed than slow twitch muscles. Because they are anaerobic they fatigue more quickly. Fast twitch fibers generate the same amount of force as slow twitch muscles, just more rapidly. Having more fast twitch fibers can be beneficial to a sprinter because they need to generate a lot of force in a short period of time. There are two types of these fibers. Type IIa fibers are also known as intermediate fast-twitch fibers. They are capable of using aerobic and anaerobic metabolism almost equally to create energy. In other words, they are like a hybrid between type I and type II fibers. Type IIb fibers only use anaerobic metabolism to create energy. 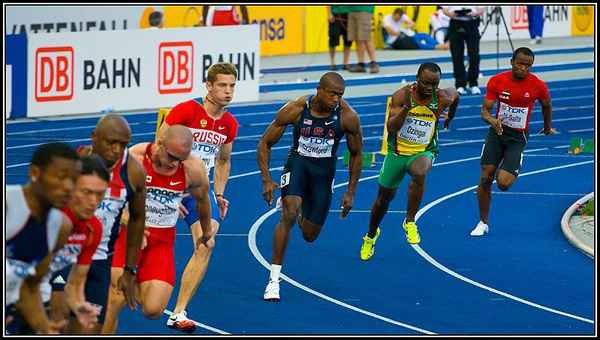 You can think of them as the “classic” fast twitch muscle fibers that produce quick, powerful bursts of speed. This muscle fiber creates quicker contractions than any other muscle type. It is also much faster to the point of fatigue and can’t last as long before it needs rest.